A step-by-step, real world guide to the use of Value at Risk (VaR) models, this text applies the VaR approach to the measurement of market risk, credit risk and operational risk. The book describes and critiques proprietary models, illustrating them with practical examples drawn from actual case studies. Explaining the logic behind the economics and statistics, this technically sophisticated yet intuitive text should be an essential resource for all readers operating in a world of risk. 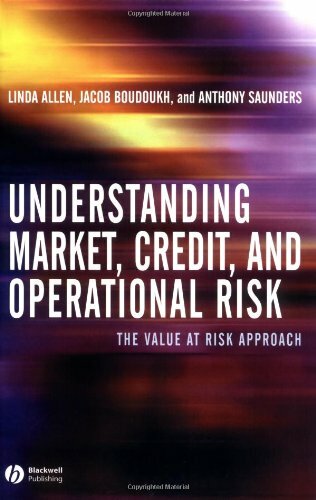 Applies the Value at Risk approach to market, credit, and operational risk measurement. Illustrates models with real-world case studies. Features coverage of BIS bank capital requirements.